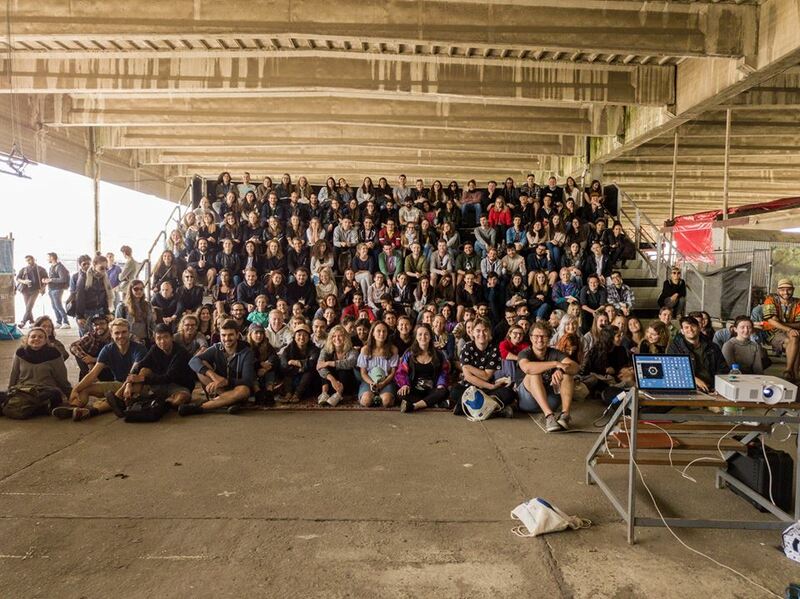 During the summer of 2017, 250 design students landed in the old harbour of Ghent where 15 projects were written in close collaboration with local pioneers and international tutors. 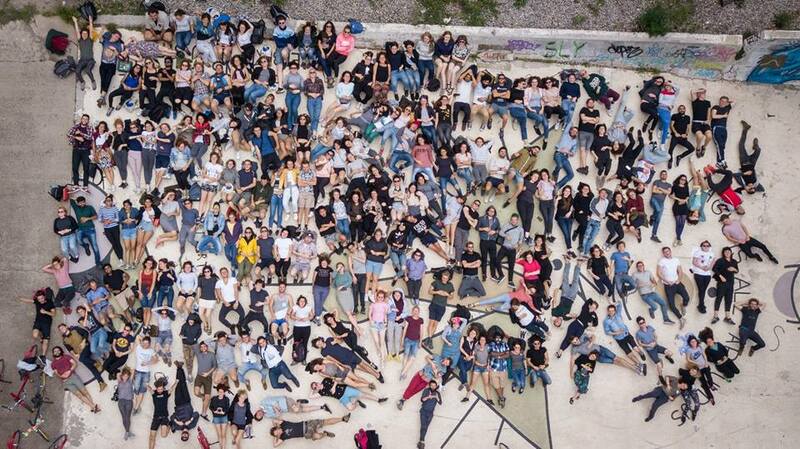 Inspired by their enthusiasm and vision on a sustainable environment, MEDS dived into the bottom up culture of Ghent. The Pig Package was one of the projects selected. 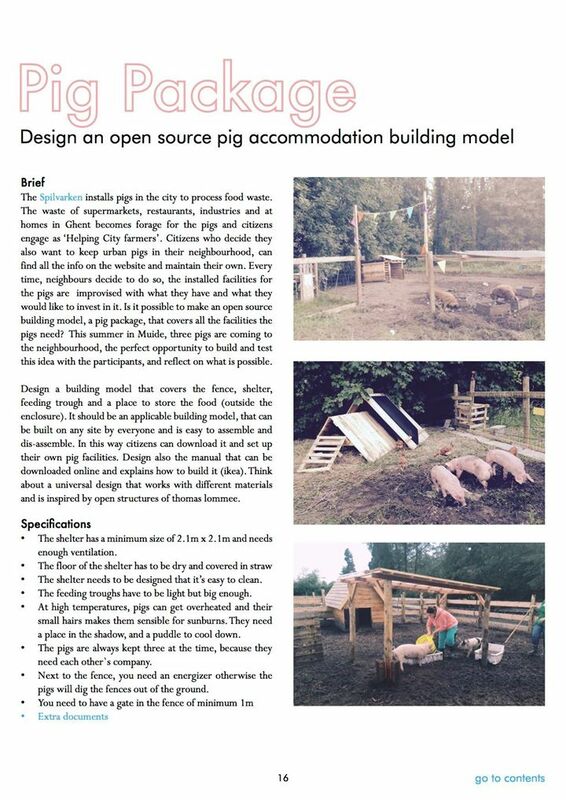 Together with Jelena Jelačić and Sofija Mašović from Serbia we briefed and tutored a mixed group of 11 students to construct a pig shelter in the form of a lightweight folding structure by investigating the characteristics of connections and the opportunities of open source. The Pig Package was created as an answer to Spilvarkens needs, such as flexibility, easy transport and usage of recycled materials. 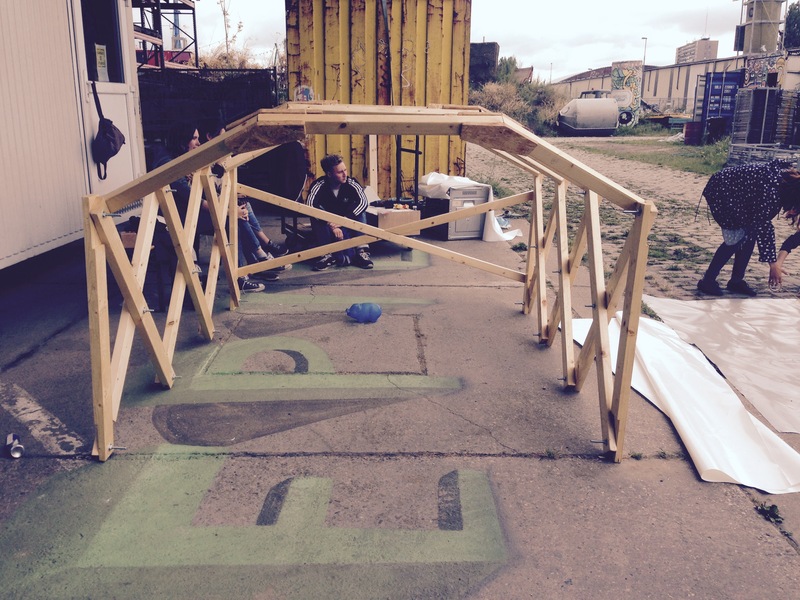 By using everyday materials and making the structure open source we tried to make this shelter available to everyone. The structure of the shelter consists of wood and plastic. Considering the fact the shelter needs to be frequently moved, main structure, made out of wood, forms a scissor mechanism. That offers a possibility for folding and therefore easier transportation. Once it’s put in place the vertical beams are assembled to disable further movements. Plastic parts have the role of connecting the whole structure. In the same time they are connecting the wood and limiting the angle of scissor mechanism. The solution for the cover was left to be disscused with participants. The cover needed to be waterproof, thermostabile and flexible offering warm and cozy environment for the pigs. 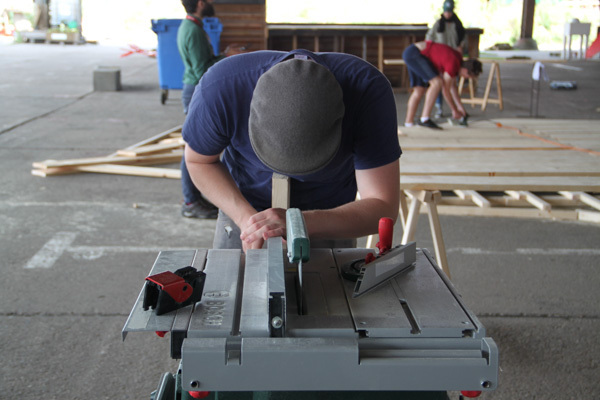 During the workshop our participants had the chance to learn and improve their wood processing skills, by cutting and finalizing the beams for the main construction. 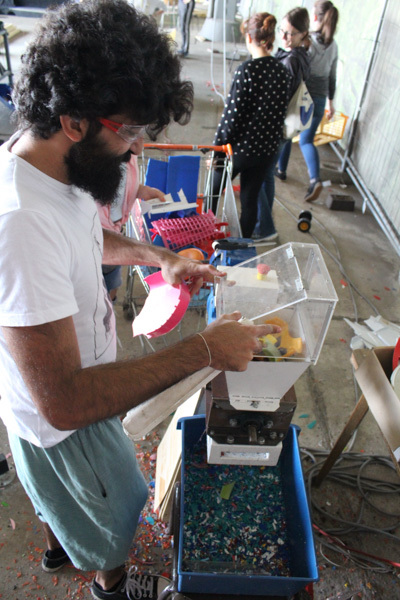 For making of the plastic parts that were meant to be connections of the wooden beams, we used a special technique of small-scale plastic processing, inspired by Dutch designer Dave Hakkens. 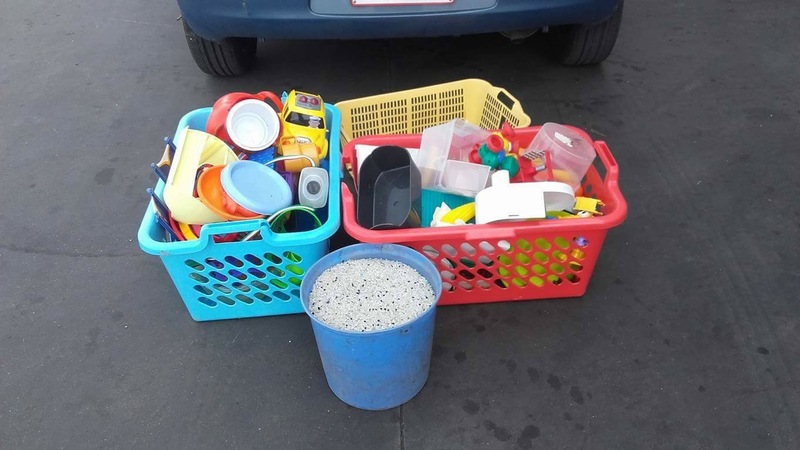 We first collected the plastic and sorted it by type. 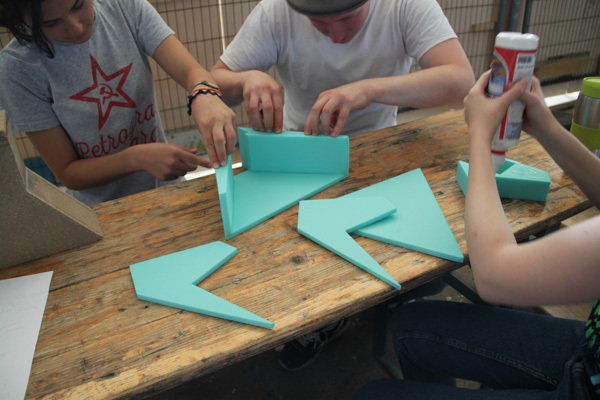 Then, we used a shredder, courtesy of Dirk (Buddha Kortrijk), and grinded the large plastic parts into smaller pieces. Meanwhile, we made molds out of plaster for the molten plastic to be poured in. 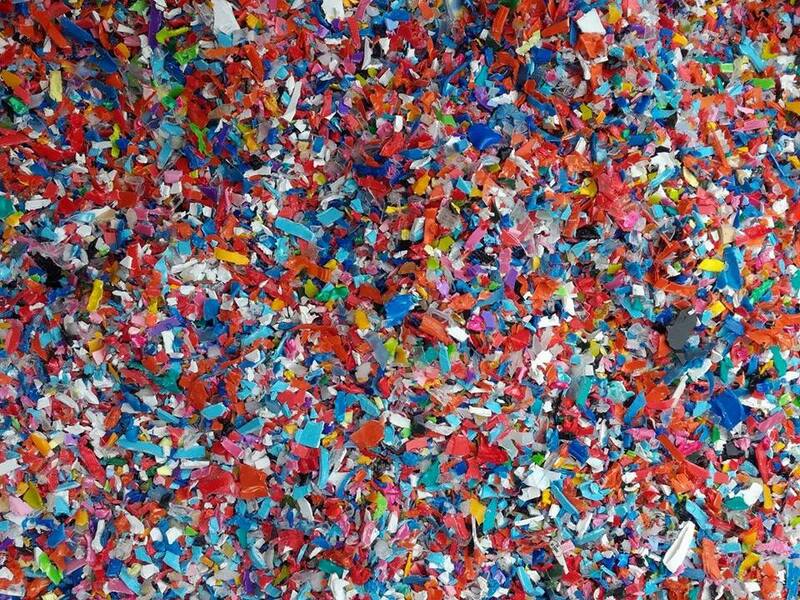 Unfortunately, in the process of grinding plastic, a small metal bolt got in the shredder and broke the machine. 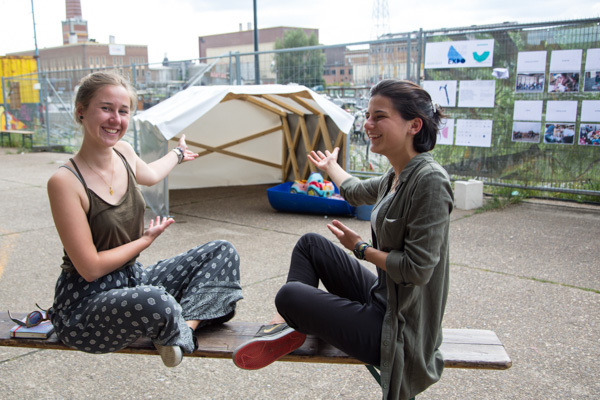 From then on, we had discussed our options with our participants, and came to a new solution of connecting the wooden parts, as well as putting up the cover fabric, thus making the pig pen functional, stable and practical. As a final product, we also made an info sheet, with a short story about our journey.